Arne vom Estetal was the founder of the vom Grenzturm Kennel in Austria. His sire, Ali von Langenhorst, passed the Körung 'for life' with highest rating for hardness and working drives plus winner of numerous international show championships while his maternal grand-dam, Cora vom Papenkamp, was a three time winner of the D.V. Meisterschaft. 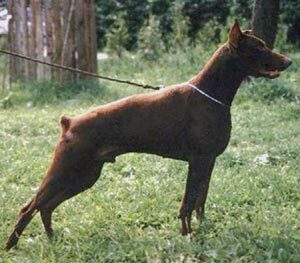 Arne sister from a reapeat breeding, Biene vom Estetal, was the winner of the D.V. Meisterschaft in 1988 and his brother, Bo vom Estetal, was the founder of the van de Berkensingel	Kennel in the Netherlands.